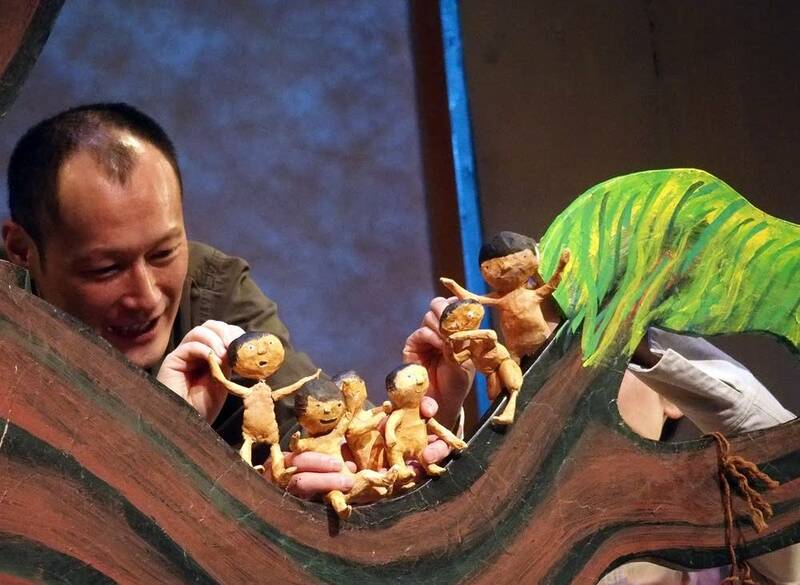 In the Heart of the Beast Puppet and Mask Theatre is about to tell the very grownup story behind a classic children's book. 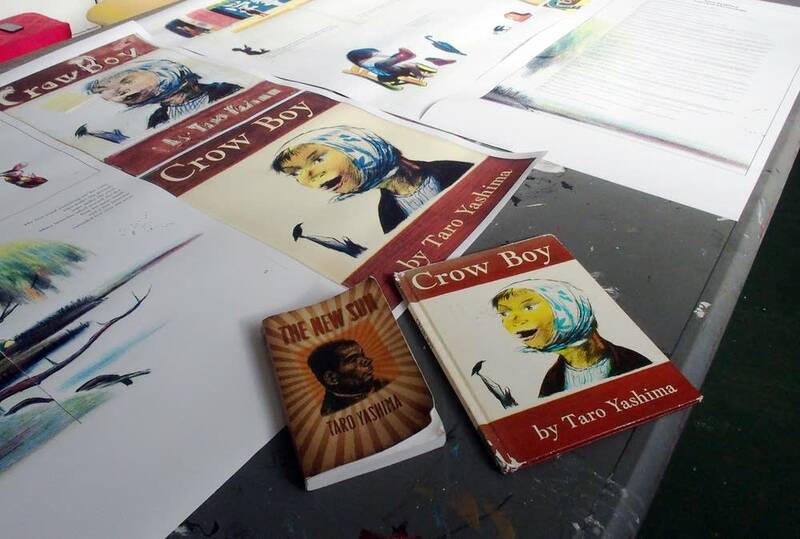 The picture book "Crow Boy," which won the Caldecott Medal in 1956, is about a little boy bullied by his classmates. 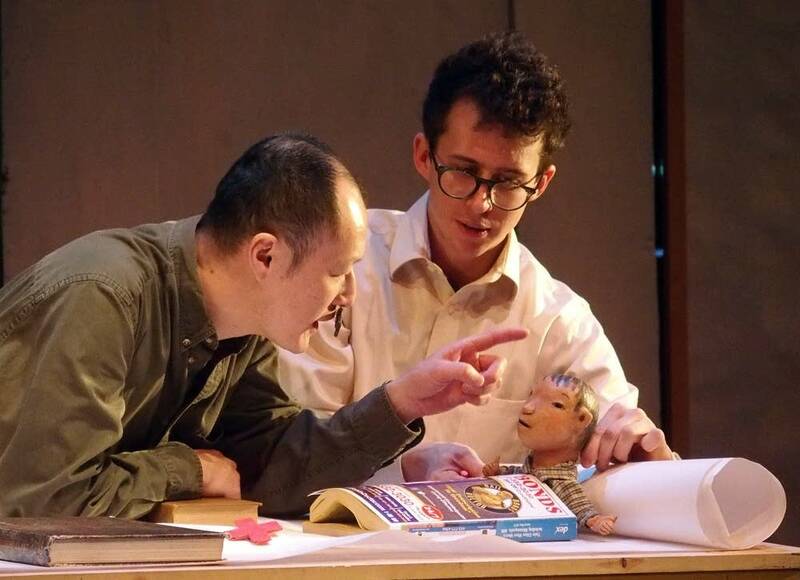 But the show, opening Thursday in Minneapolis, is aimed at adults. The book came from its author's experience growing up in Japan and the United States in the 1930s. "Good evening," says an actor in Japanese, followed by another actor delivering same lines in English. "My name is Taro Yashima, and I'm going to tell you a story." So begins the tale of Taro Yashima, best known for picture books published in the 1950s. 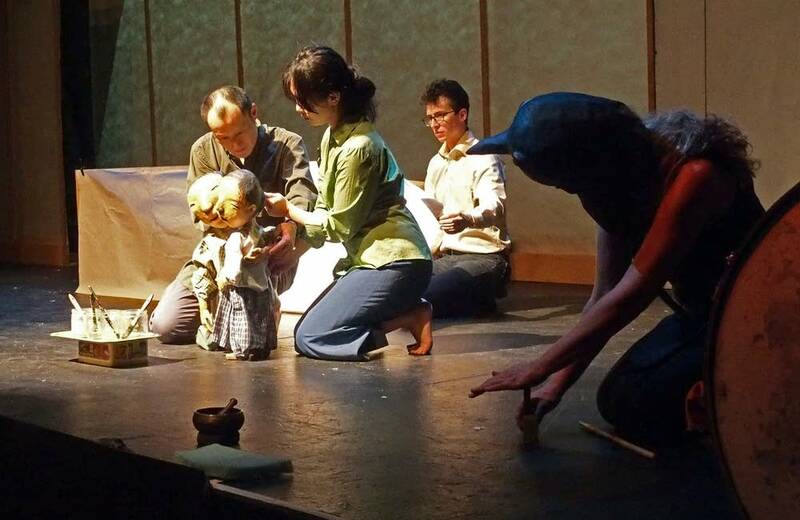 "We know him as a children's book author, but for a great deal of his life he was a very politically active artist working both in Japan and the U.S.," said Steve Epp, who wrote and is co-directing the play. The project has its roots back in the days when Sandy Spieler, who would become artistic director of In the Heart of the Beast, was a teenager. That's when she discovered "Crow Boy." "I just thought it was such a stupendously incredible, wonderful story," she said, and the illustrations were "just remarkable." A little boy is teased and bullied by his classmates for years. Then, on the final day of school, he displays knowledge and talents the other children did not know he has. Performer Masa Kawahara said the boy shows how he can make and understand every sound that crows make. "And then they realize how wrong they were making fun of him," he said. "And then they understand how amazing this kid is." When she became a puppeteer, Spieler wondered about making "Crow Boy" into a show. "And I just kept thinking, 'Yeah, but no. It's so perfect as a children's book. Why would I want to turn it into a puppet show?'" she said. "I'd rather find ways of introducing people to the book." But things changed a few years ago, when she learned more about Taro Yashima's life story. That story has become the basis for this "Crow Boy." Taro Yashima was the pen name of Atsushi Iwamatsu. Growing up in Japan between the world wars, he had an idyllic childhood, eventually becoming an illustrator and cartoonist. But as an adult he and his wife fell afoul of the militarist government, and were imprisoned. Released after a year, they left for the United States in 1939, ostensibly to study art. He joined the U.S. Army and then the OSS as an artist to produce propaganda materials. That's when he began using the pseudonym, to protect his family back in Japan. This was the story Sandy Spieler wanted to tell. "This is the background of why someone could write such an insightful, beautiful book," she said. "Because of his own life, his own being tortured in prison, his own having to listen in to a deeper part of the world to find inspiration." As a Japanese man living in the United States during the war, Yashima faced racism and accusations of working for the enemy. Steve Epp said it's a situation still facing immigrants today. "And especially right now with the Muslim community," he said, "painting them all as potential terrorists." "Crow Boy" is the first Heart of the Beast show done from scratch, as they say, since the theater faced a major financial crisis about 18 months ago. It turned a $200,000 budget hole into a $300,000 surplus last year, through painful job cuts and appeals for donations. Sandy Spieler said to keep going was an act of faith, but doing a show helps. "It's been massively difficult and massively incredibly wonderful at the same time," she said. The rebuilding effort continues. It's like building Heart of the Beast's famed papier mache puppets, Spieler said. You just keep adding layer after layer.